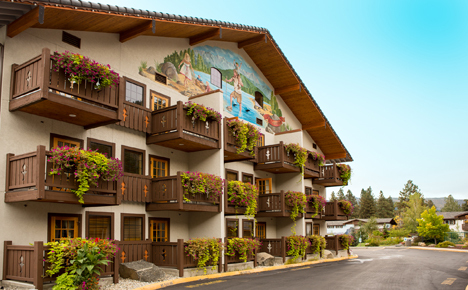 The Icicle Village Resort offers great family and adventure packages to make your stay unforgettable. The Icicle Junction Activities Center has fun activities for the entire family including an 8-hole miniature golf course, arcade and game room and sports court where you can play basketball, volleyball and roller hockey. Overnight guests can enjoy swimming in the pool or relaxing in the jetted whirlpool, both of which are open year-round. There is also an up to date fitness room with 24 hour access, a 10 feet wide by 7.5 feet tall big screen to watch sporting events and the sports and snack bar. For those looking to be pampered, the Alpine Spa offers a variety of massage services, body treatments, hair and nail care plus a complete line of organic spa products for purchase. Check out the latest hot deals! For more information or to make a reservation, call 1-800-961-0162. 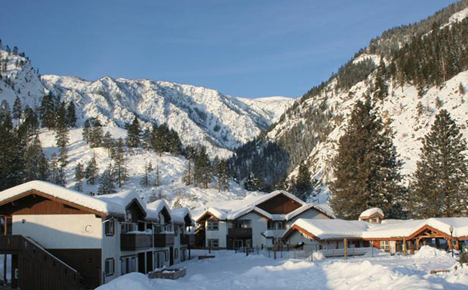 Icicle Village Resort offers a wide variety of package deals for every season. Every package includes the delicious complimentary hot breakfast buffet. Call 1-800-961-0162 or go online to make a reservation. A nice Sunny day to relax at the pool at Icicle Village Resort. Take advantage of the outdoor recreational activities, festivals and events and one of a kind shopping by making reservations for one of the spectacular packages at Icicle Village Resort. You won't be disappointed! Aspen Suites covered in snow. Take advantage of the winter special packages. 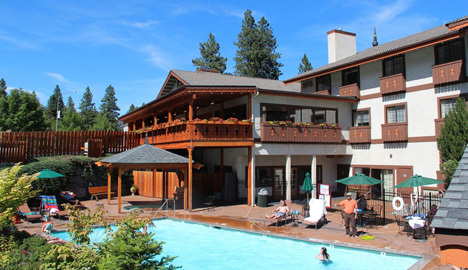 Icicle Village Resort offers a wide variety of package deals including a Romantic Getaway, Wine Tasting Getaways, stay and play packages and Spa Specials. See their website for full details. Packages include complimentary hot breakfast buffet.